During a Nevada divorce, marital assets are divided between the spouses equally, given that the state follows the community property system of division. This does not mean that assets must be divided exactly equally, however; rather, it means that the value of each spouse’s part of the marital estate should be equal, rather than the amount of assets themselves. Because of this, a closely-held ‘family’ business is an asset that can potentially pose interesting problems when it comes to ensuring that both spouses receive roughly equal shares. Is the Business Community Property? The crux of many valuation arguments revolves around whether the business itself is community property, or what percentage of it ought to be classed as such. Nevada law states that all property acquired after the marriage by either spouse, unless it was willed or gifted to them or acquired as part of a court award (after a lawsuit), is community property and must be divided as such. Assets like businesses, however, occupy an odd hybrid ground where they may be and yet not be community property. Because of this unusual status, many couples will engage a forensic accountant or other financial professional even if they do not choose to have a full valuation done, if only to track money and other assets that the business may possess, as well as potential liabilities or debts. Most couples in this situation, however, do go forward with a full business valuation by a professional. 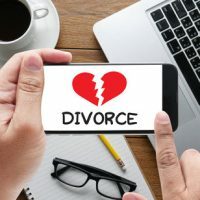 Without a full picture of a business’s assets and liabilities, asset division in divorce will almost certainly be inequitable, simply because there is no way to ensure that the spouse who does not get the business will get enough marital assets to offset that value. How Is the Business Evaluated? There are multiple ways in which a business can be evaluated, and as such, there may be very different assessments of value given for the same enterprise. Generally, both tangible assets and intangible assets must be valued – items like office equipment, cash registers and real estate fixtures versus the business’s “goodwill,” trademarks, or patents – but that is merely a starting point from which different approaches diverge. Both tangible and intangible assets may be community assets, depending on your situation, so a full valuation is often necessary so that property can be clearly identified. There are two common methods that are most often used to conduct valuations of small businesses: the book value method, and the market or earnings approach. The book value method is arguably simpler – the book value is simply the number arrived at after subtracting a business’s liabilities from the value of its assets. The market or earnings-based approach is focused on the earning capacity of the business itself – in other words, what would be an appropriate market price for a business of this type. Either way, once a value has been agreed upon, then the court can move on to figure out how best to divide the community property – business included – so that the result is equitable. If you have a business that you have built up with your own initiative, it is understandable that you would like to keep it as close to its status quo as possible. The zealous Las Vegas asset division attorneys at the Kainen Law Group can help you figure out the best approach for you and how to make it work. Contact us today to set up an initial appointment.